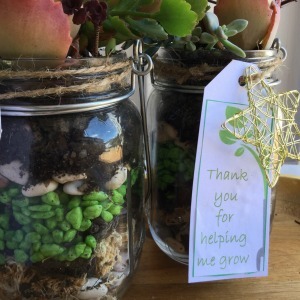 How to make your teacher a gift they will love! The kids and I started a conversation the other day about the different types of teachers gifts that a teacher would receive, and we all agreed that a gift which is made by hand has a lot of love in it. Coming from such a green family, the kids wanted to gift something that grows and one that can stay on a teachers desk. Therefore, we started by making a list of different ways we can gift something that grows and this is the first of our projects. 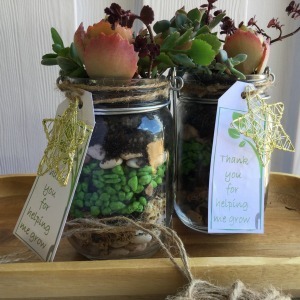 Get the kids to make their own teachers gifts this year. Easy peasy! First, set your table up with each of the components for the jar layers in front of you. Start with the small stones and build each layer as a visual and textural step. 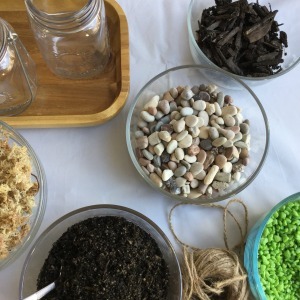 Finish with enough succulent mix to promote root growth and stability for your plants. 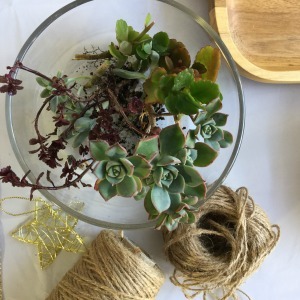 Secondly, make sure you identify the side which will be facing the front, then carefully position your succulent cuttings based on colour, height, shape, and size. 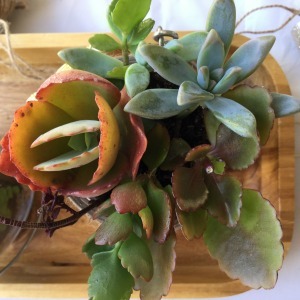 Add more succulent mix to secure the plants into place. Using a spray gun, gently wet the soil and plants. 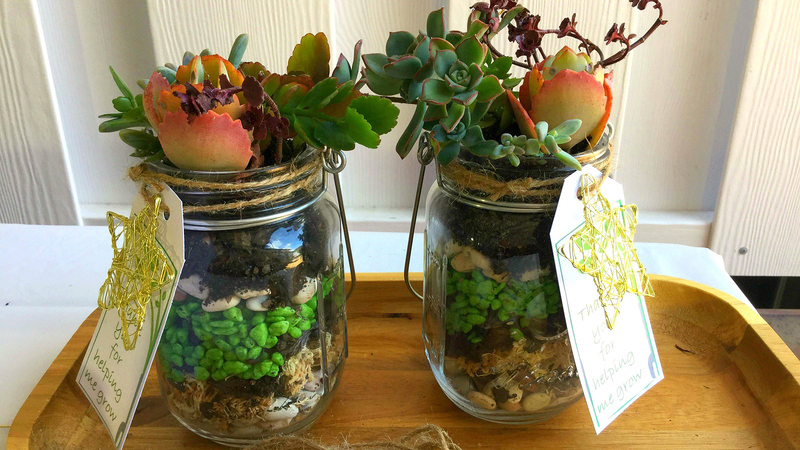 Succulents don’t need much water, in fact, they prefer not to have wet feet and to also dry out in between drinks. Now it’s time to make your swing tags. Glue your message to your swing tag and add a bit of sparkle. In addition, tie the tag around the neck of your jar. Most importantly, the best bit is yet to come because I know your teacher’s gift is going to be a hit!